Last few days of 2015! Can you believe it?! I am excited to see what 2016 brings, and hopefully you are too. 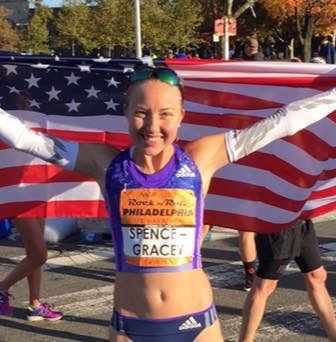 One person I know is excited to see what happens in 2016 is my friend Neely Spence Gracey, who is running her debut marathon at the Olympic Trials in February. Neely and I have been friends for years, both running at Division II Universities, and then getting to know one another better (along with Alexi Pappas) when we were both Top 30 finalists for the NCAA Woman of the Year. Neely is a pro distance runner for Adidas. Wife of co-coach, mom of a vizsla, daughter of an Olympian, chasing her own goals one stride at a time. 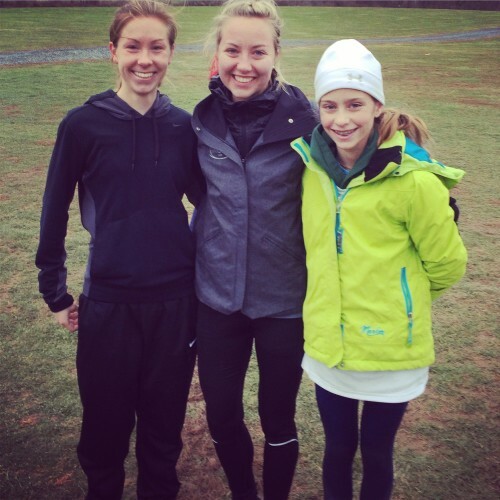 Her PRs are 4:38 in the mile, 15:25 in the 5k, 32:16 in the 10k, 53:03 in the 10 mile, and 69:59 in the half marathon. April 16, 1990… Boston Marathon day. The sun was shining, the skies were blue, and thousands of people ran through the streets of Boston. In a small town in rural Pennsylvania, many states away, I was born. I don’t think this was by chance. Fast forward, to the present. I am 25, and aiming for a marathon in 2016. My first. But there is a 25 year gap that needs filled, and today I am going to share that story. My dad was a Pro runner. He was racing Boston on that very day, and found out afterwards that I had come early. The headlines “New Dad takes 19th at Boston” and the articles explained his extreme disappointment in his race and in missing my birth. But persevere he did, and the following year he was the Bronze medalist at the World Champs Marathon and in 1992 made the Barcelona Olympic team. Whether I knew it or not, I was learning valuable lessons that continue to help me in my own career. I didn’t become a runner from the start. I loved hose back riding, acting, playing with my American Girl dolls, climbing trees and just being an adventurous kid. But, at 13, I flipped the competitive switch on. I set goals. And I made them happen. Taking control, putting my heart and soul into something (or at least as much as is appropriate for an 8th grader). 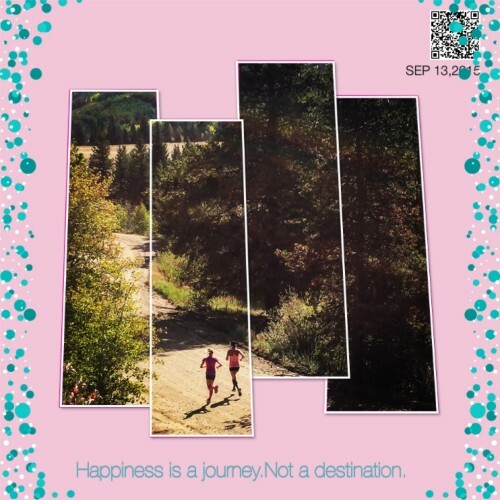 I ran 17:41 in a road 5k, 5:09 in the mile, and trained 20 or so miles per week. I have always responded the best to being undertrained. If I train where my last race showed I am, then my next race will be better and my training can take another step forward. Thus, the cycle continues and I continue to get faster. The only time I trained at a higher level of where I wanted to compete but hadn’t is when I got my only injury that has been caused from training stress. This whole concept is so important to me and, though I am not saying it will work out perfectly for everyone, it has allowed my career to progress consistently. Bumping up the mileage slowly, by the end of HS I was in the 50s with PRs of 17:17 for XC and 4:44 for the mile. I went to Shippensburg University for college, and the progression continued. 15:27 for the track 5k, 4:41 for the mile with about 60s as my standard mileage. As a Pro I have run 15:25, 4:38, and feel mentally and physically like sticking to the shorter distances and gradual progression has allowed me to get to where I am right now; someone who is ready to move up in distance, all because the incremental steps of gotten me here after 12 years of training. Things don’t happen over night with running, it’s a lifetime of learning and adapting, and having the support network around you to prosper your goals. Take a moment, think about what you do really well, what you could do better, and what totally needs changed. Remember to set yourself up to enjoy the process. For me, the marathon is my next adventure. What would you like to ask Neely? It’s fate! That is one very cool story. Best of luck to you Neely!